A bariatric patient’s size and immobility-related complications present a unique challenge for caregivers. Each patient’s needs vary considerably dependent on factors such as body size, weight, level of mobility and immediate medical condition. Prism Medical’s C-800 ceiling lift is designed to achieve a safe work environment that aids in increasing overall safety and patient mobility. This unique ceiling lift guarantees a smooth and effortless transfer, while lifting up to a maximum of 800 lbs (364 kg). For further convenience, the C-800 is available in both, a manual and power version. Additional features include a pneumatic hand control, power indicator on the charging module, end stop charger that is enclosed on the track, and an adjustable horizontal speed that can accommodate for four different preset settings. 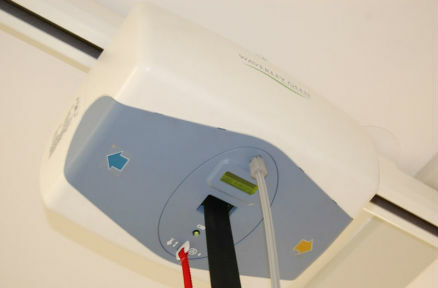 A fixed ceiling lift capable of lifting 364kg.